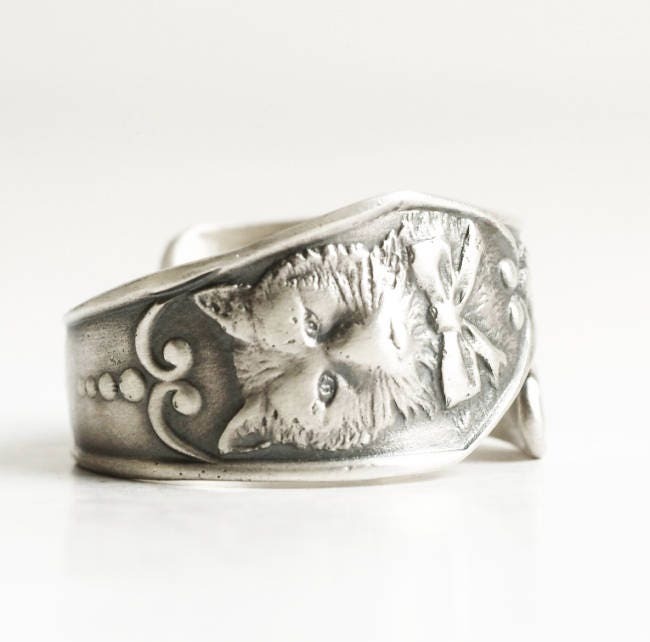 Exquisite sterling silver cat spoon ring design, very crisp detail! 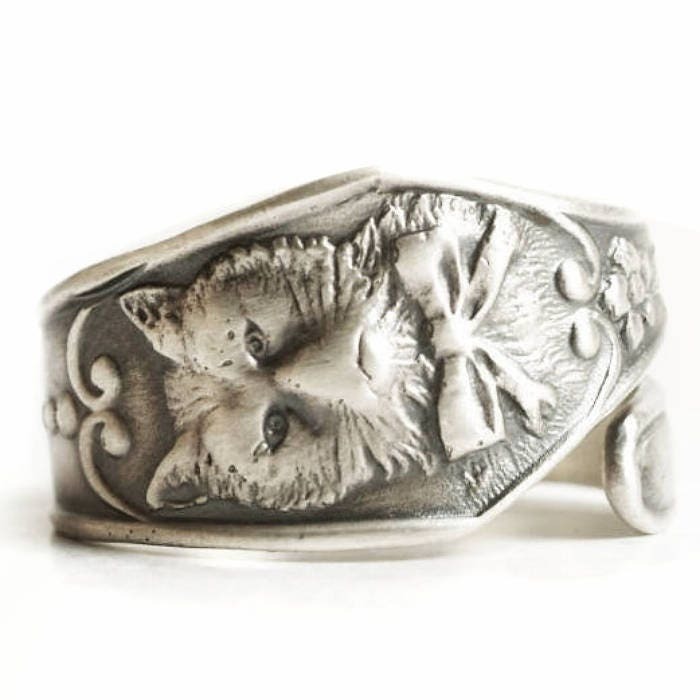 Depicted is a high relief portrait of a nicely framed cat, who looks a bit grumpy with his adorable bow. 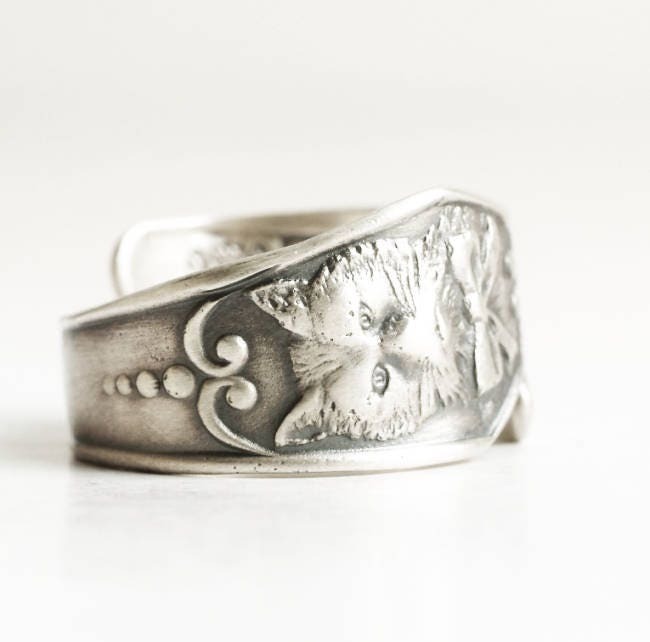 Unique and stunning, this ring would be great for the cat lover in your life! 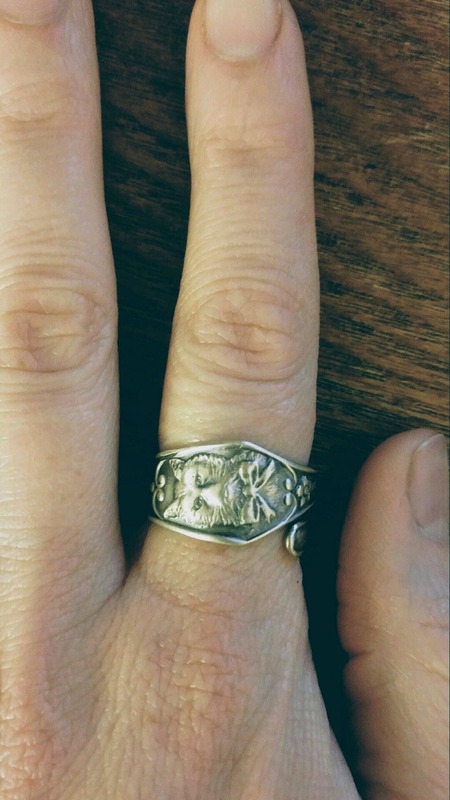 Especially if that's you! 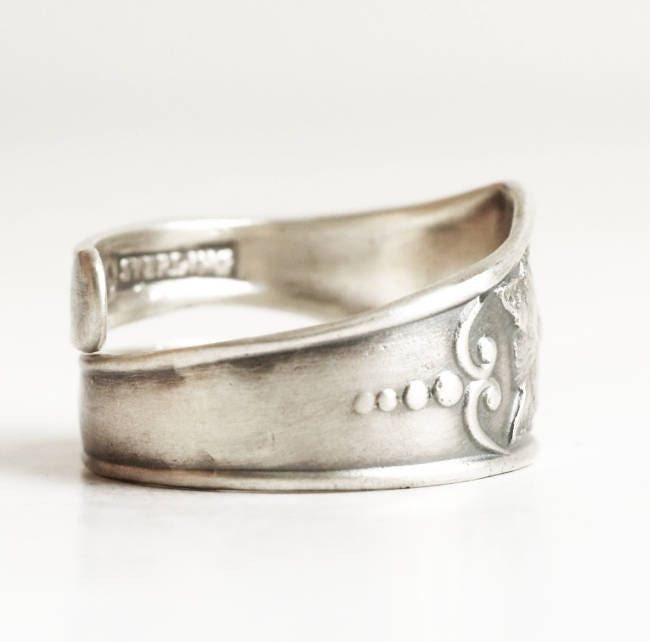 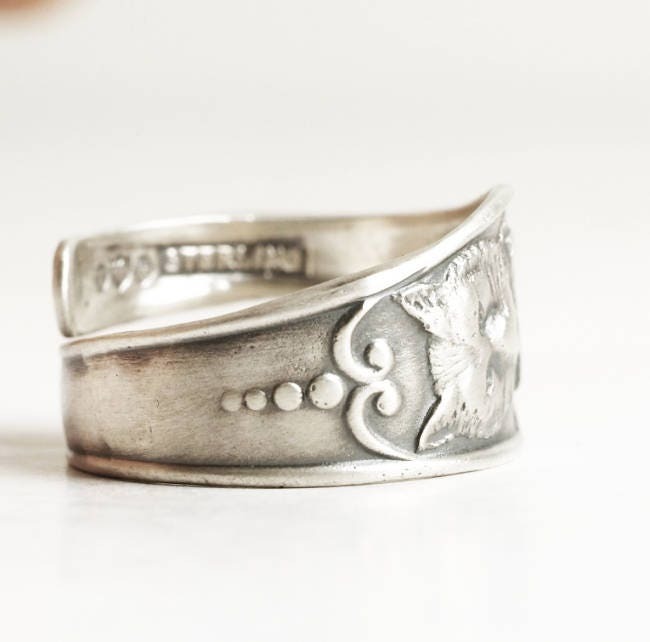 This particular ring is a solid 925 sterling silver casting we made of a unique and stunning spoon pattern originally made from a child's feeding spoon manufactured by Watson Co ca 1900! 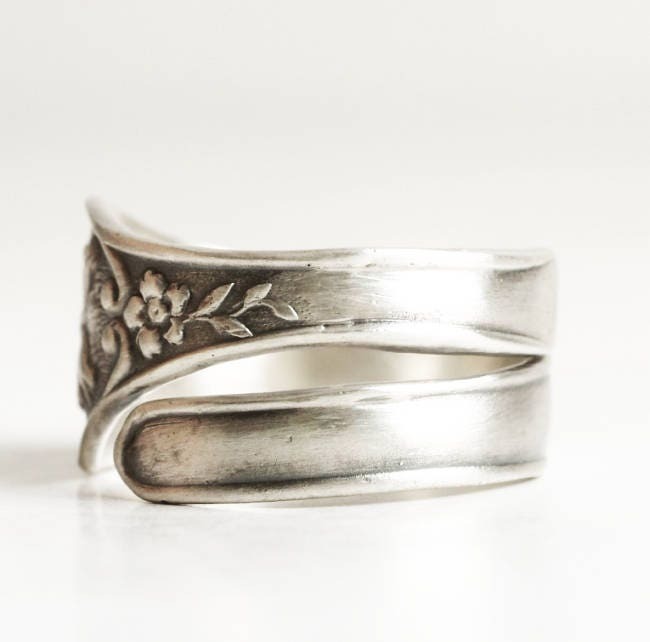 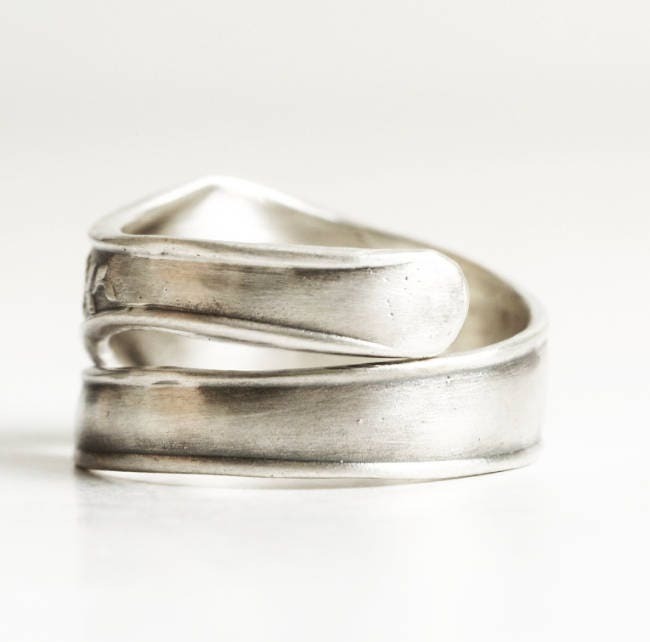 We make our castings from recycling the bowls we cut from the antique sterling silver spoons we make into rings. 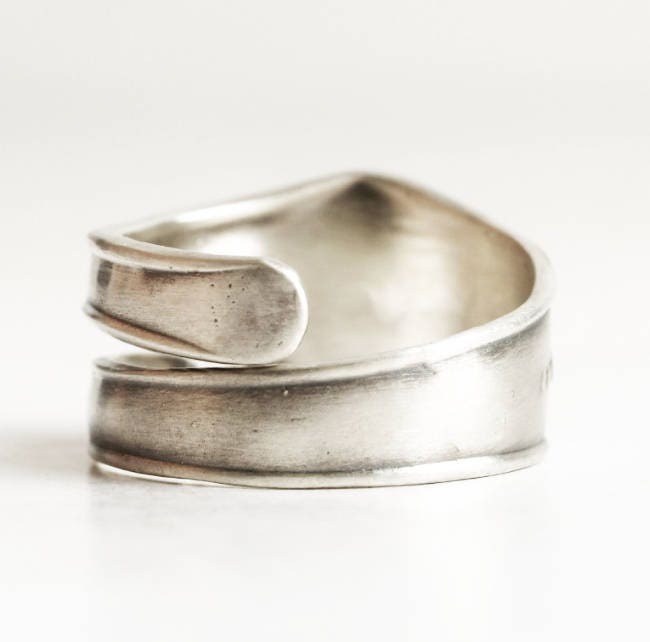 It's a great way for us to up-cycle and keep the sterling spoon silver in top quality spoon ring form. 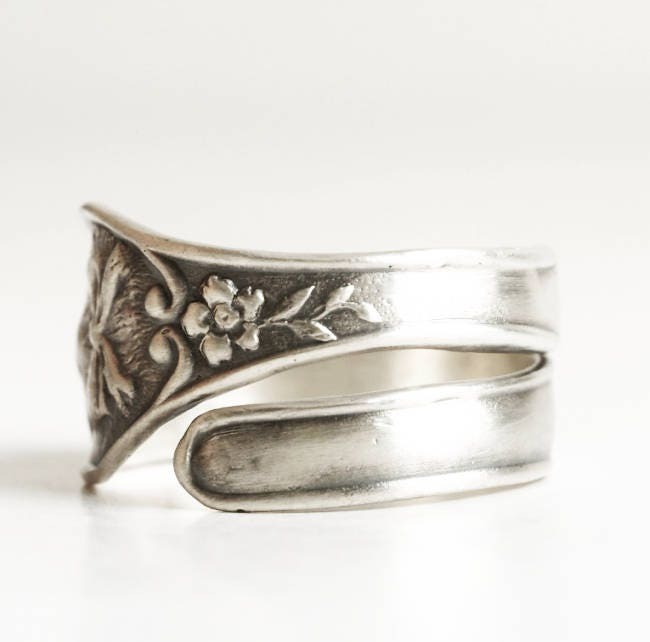 We hope you enjoy this lovely pattern as much as we do!